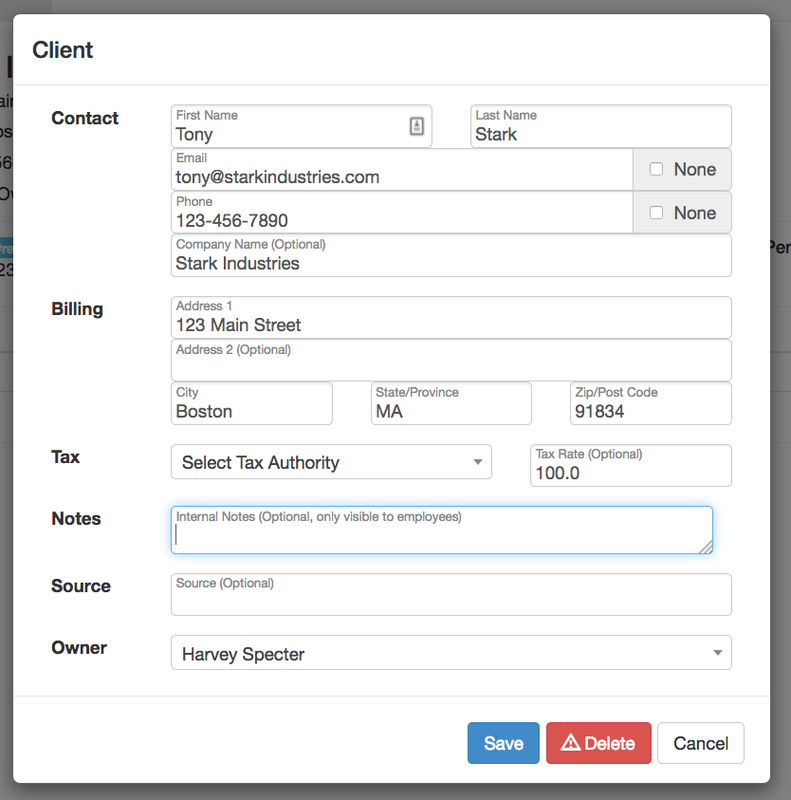 Client information can be edited in the clients profile. You can get to a clients profile by going to the Clients page from the top menu and searching for them or from inside a project by clicking on their name in big blue letters at the top of the project. 1.) Go to the Clients page from the top menu. 2.) Search for your client and select the blue button to view their profile. 3.) Select the yellow edit button to edit the clients information and Save when finished.